Ichiro, Marcell Ozuna, and Giancarlo Stanton all hit home runs in the seventh inning against the Phillies today. 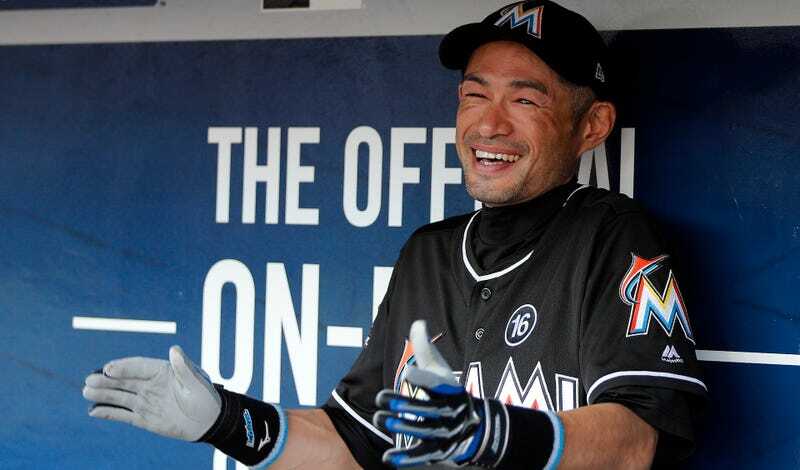 Ichiro’s was the longest. The Hit King has three home runs this year, which is as many as he had in the 2014, 2015, and 2016 seasons combined. He’s on pace to hit his 500th home run in his 73rd season, which I’m sure he’ll reach because he is a perfect baseball machine.